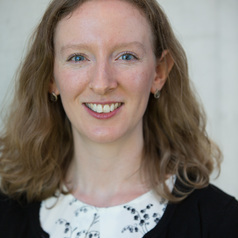 Isabella Jackson is Assistant Professor in Chinese History at Trinity College Dublin, based in the Department of History and the Trinity Centre for Asian Studies. Prior to moving to Ireland she lectured at the Universities of Aberdeen and Oxford and she received her PhD from the University of Bristol. She researches colonial history in modern China and the transnational history of social reform in modern China and teaches all aspects of modern Chinese history, particularly the Republican period (1912-1949). She is the author of Shaping Modern Shanghai: Colonialism in China’s Global City (Cambridge: Cambridge University Press, 2017) and co-editor, with Robert Bickers, of Treaty Ports in Modern China: Law, Land and Power (London: Routledge, 2016).